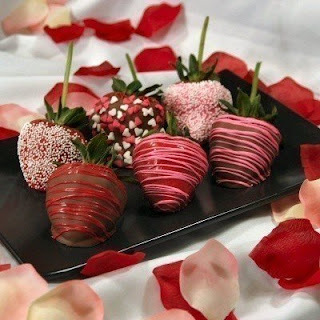 You could choose chocolate cookies on a stick, covered chocolate hearts, chocolate m&m's, chocolate mints, plain chocolate bars or get very extravagant and have little chocolate swans or chocolate basket wedding favors. Actually, the possibilities are endless when it comes to choosing the design and style of your chocolate wedding favor. But what is absolutely necessary to complete your chocolate wedding favors is the personalization on them. You must have the bride and groom's name and date of the wedding on the item, a sweet saying or at least a thank you on the chocolate wedding favor. These are very tasteful when written in an alternating chocolate on the wedding favor itself. However, this type of personalization can be more costly than a packaging on the outside which says "thank you for joining us on our special day." 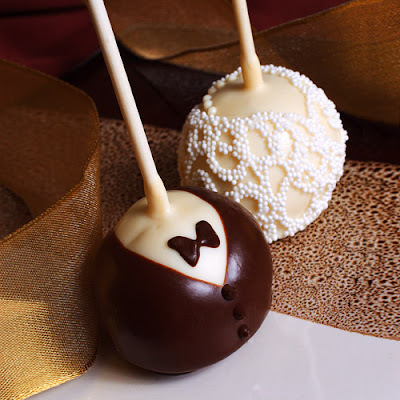 Either way you choose, a chocolate wedding favor is a hit at anyone's wedding. 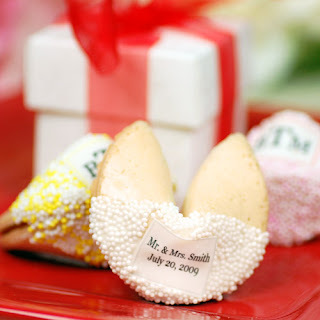 Custom wedding cookie favors is a geometric cookie such as a rectangle, diamond, or heart shape to be frosted and decorated with the monogram or bridal couples' names is a very popular choice among couples. The cookie can be frosted with the colors of the wedding and can have other decorations such as hearts and bells or the cookie can be stylishly designed with the monogram. The cookies are often come from a butter cookie recipe but can be modified into various flavorings. Each cookie is wrapped in plastic wrappings and tied with a decorative ribbon. This tasty treat will be a nice finish to the wedding day. 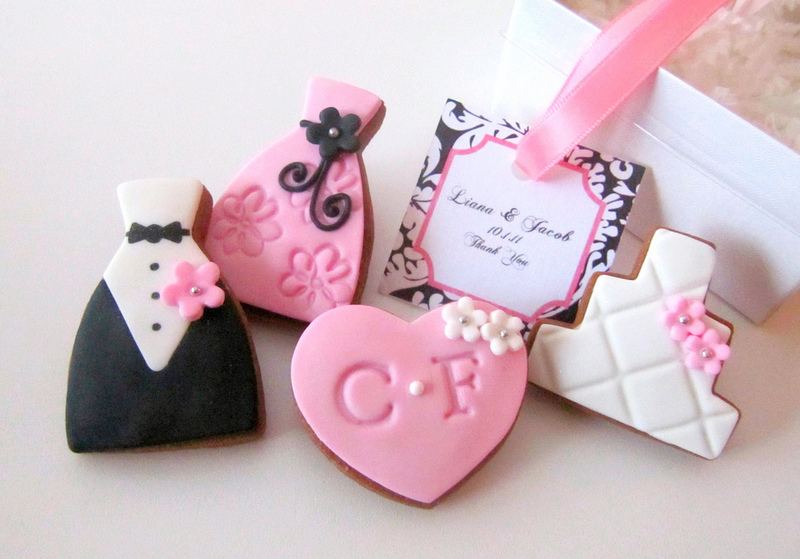 Another nice cookie design for wedding cookie favors are tuxedo and bridal gown cookies. These cookies are cut in the shape of a wedding tuxedo or a bridal dress and are decorated respectively. This is an adorable design that will be well liked by all the guests. A good addition to these cookies would be to put a tux and gown together and have a label with the couple's new married name of Mr. and Mrs. to imply their wedding union. Some companies offer edible wedding favors in the form of coffee or tea. 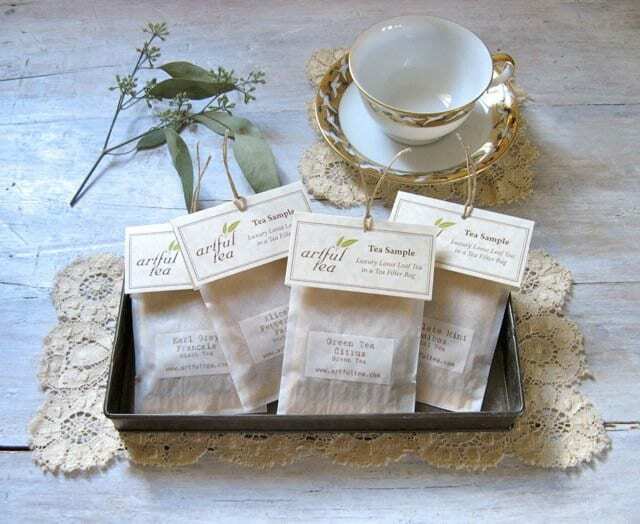 Special concoctions of coffee or a favorite tea can be packaged in special wedding logo that tells the bridal couple's came and the wedding date. For a unique blend, the option of having a special cappuccino or hot chocolate blend can be incorporated into the wedding theme. These edible wedding favors will definite bring smiles to all the wedding guests.